Mike has just reminded me we had said we would attend the Royal Lancashire Show , which is on the 20th 21st & 22nd July, I have had a few names that would like to attend the Frodsham & Helsby car show on the 22nd, so we could have one day at the RLS say Saturday 21st & 22nd at Frodsham , What are your thoughts ? I am happy to arrange both events just let me know your preference . On the 22nd July 2018. Frodsham & Helsby have a car show for which I did register an interest on behalf of our car , Would anyone like to attend this event? Thanks for your e-mail, registration for the event is now open. Hope you can join us for the event, but note the revised date! It would be good if you could get a number of members along – we can reserve you a gazebo space for the club if you wish. Attached is a registration form (MS Word and PDF formats) to complete and return. Andy noticed this in the Telegraph !!! Hi All. Andy noticed this article in the Telegraph and it features Les ‘s Car. What a great weekend we had at Shelsley Walsh Sprite 60th birthday. Now looking forward to our own MASC Sprite 60th Birthday weekend on the 26th August at Wroxall Abbey Hotel . Our next club stand is at Tatton Park on the 2 and 3rd June , hope the weather keeps like it has been this weekend ,fingers crossed !!!!. 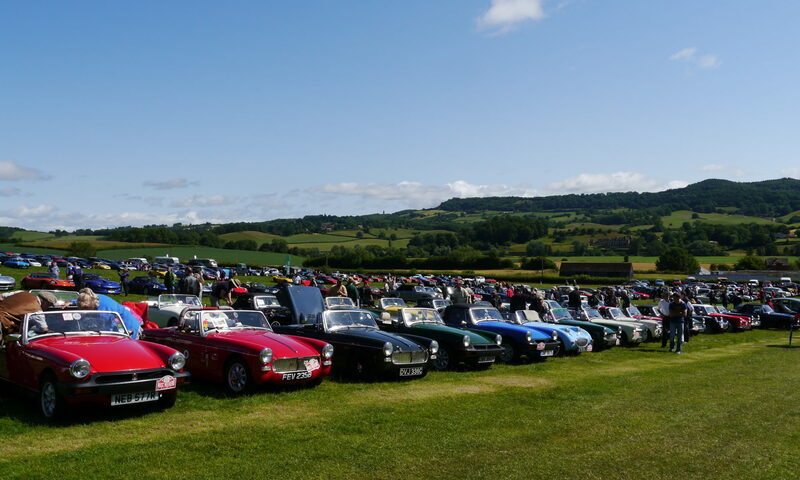 As quite a lot of our members are going to Sprite60th on the 20th May at Shelsley Walsh, It had been decided to CANCEL this months Sunday Cars & Coffee meeting at the Kilton , Look forward to seeing you in June. Hi All , I have just received this email via Alan Anstead Regarding a track day at Donington , for anyone that may be interested. “Through the work done by Steve Newton, Heart of England, MASC has committed to a 25 car session at the MGs on Track event at Donington on Monday 1st October 2018. This will take the form of two levels of power and tune so that everyone who is interested will be able to have some fun on this historic circuit. Level one will be for standard tuned cars and beginners, and level two will be for more highly tuned cars and experienced track day drivers. These two levels will be separated into different sessions along with similar cars so that there is no problem with fast cars whizzing past beginners and making them nervous and in the same way there will be no slow cars hindering the more powerful vehicles so that everyone is catered for. An exact cost for the day is not yet available but typically costs are between £150 and £195 but accurate information will follow. The only essential item is a helmet but if you are interested then you should look on the MGs on Track web site www.mgs-on-track.comand read the track day FAQs section. Helmets are available for hire at the venue. For all those going to Gawsworth Hall on Monday , We have a pitch booked with Rupert, on entry just say you are with the Midget & Sprite Club , I am hoping to there about 9am to set up the marquee ( not the new one with club logo) which may arrive by the end of the season !! !.Look out for the club flag. As we all travel from different directions please make your own way there. The weather forecast is looking good so should be a great day with a good club turnout of around 14 cars attending. Next Wednesday is Club night at the Kilton. The 19th May we have quit a few members going to Shelsley walsh for Sprite60th birthday, Quite a busy month for us in the North West area .